Academic articles by professors and historians that have expert knowledge about the subject are described here. It has been some time since I last updated the Armenian Genocide Archival section and I sincerely apologize for the lack of new archival material due to time constraints. Recently, I've added a new German Archives section with reports from German consul Walter Rossler and the Ambassador to Constantinople. 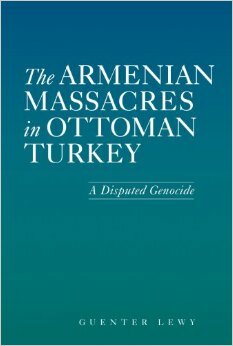 These are real historians who have been criticized for denying the Armenian Genocide mostly by Armenian scholars.